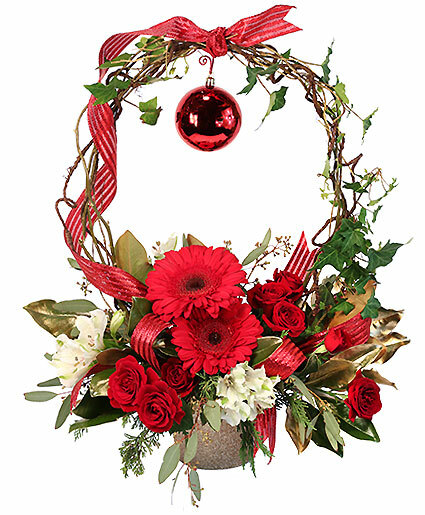 Rudolph's Nose Holiday Flowers in Atascadero, CA - ARLYNE'S FLOWERS & ETC. 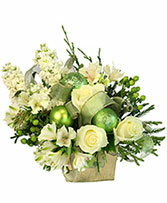 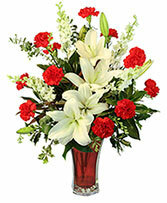 Send Yuletide Greetings with this very showy arrangement of seasonal greens and traditional Holiday flowers. 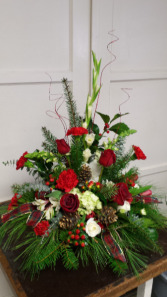 Accented with pine cones, berries and ribbon!